No you probably have some sort of load line calibration on. IE - when the clocks start going up etc the board adds volts to keep everything stable. Also how to I do LLC as the vid I watched for my CPU didn't show that. 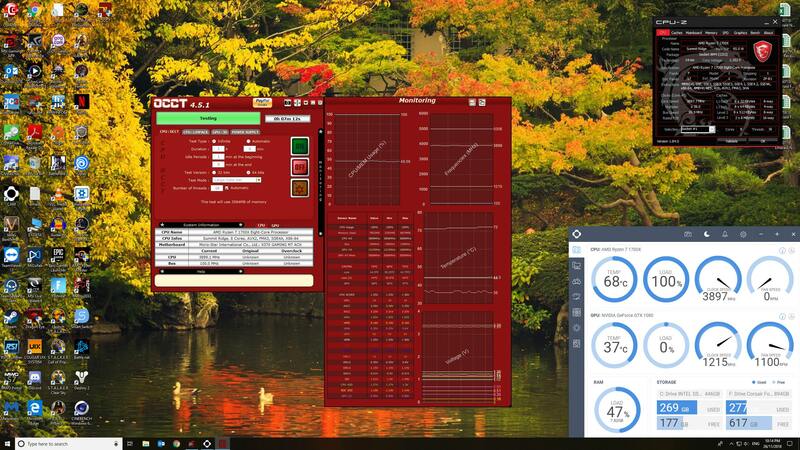 Overclocking is hard. Not the doing it, that is easy, but you basically need a crash course in what every setting does on the board and then time to learn it all. Like Vdroop, LLC and so on. However, most of it is universal, so learn on one then apply to others.. Like voltage, Vdroop etc they are present on nearly every OC board. I learned how to OC on X58, which had more settings than I can even remember. However, it was worth doing as I could then overclock Core 2s really easy and especially my FX AMDs (had a couple of 8320s). I would ditch cam as monitoring and o for hardwareinfo, much more detail and accuracy. What BIOS version are you running? if it is not 7A35v1B (latest) then I would advise update the bios but before doing that update the chipset drivers to 18.10.30 if not yet done then do bios. Try setting LLC to 3 and see how you go. Oh I oced my XP 2300 but it was easy then. TBH I'm thinking about reverting back to normal and undervolting as summer hasn't hit here yet and we get 40c+ days here and I can't realistically keep everything cool, hell even with AC going it can be over 30+ in here and TBH I don't feel like cooking my stuff and for the small bump in performance isn't really worth it for me at least anyway. But I do want to try you peeps advice and maybe try OCing again during the winter months next year.